Residents across County Durham are reminded that the final garden waste collections for this year take place between 28 October and 7 November. So far this year, almost 20,000 tonnes of garden waste has been collected from properties in the Chester-le-Street, Derwentside, Easington, Durham, Sedgefield and Wear Valley areas. This has all been turned into compost for use on local farms. During the winter, garden waste can continue to be recycled by composting at home or taken to any of the household waste recycling centres across the county. 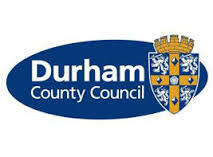 Details of your nearest recycling centre and opening times can be found at www.durham.gov.uk/HWRC. From next spring there will be an annual fee of £20 for garden waste collections from the kerbside and residents will need to sign up to receive the service. Almost 10,000 households have already signed up. An additional 35,000 properties which have not previously been covered by the scheme will also be able to subscribe for garden waste collections. By signing up, residents receive 16 fortnightly collections between spring and autumn. Anyone opting to take up a three year subscription will get a discounted rate of £50. Residents are asked to subscribe before 1 February to ensure they receive all collections in 2015.